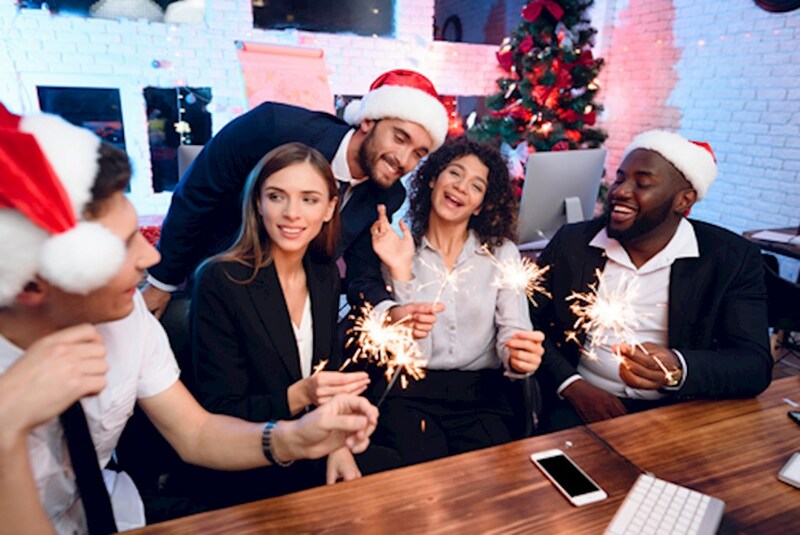 Office Christmas parties can be fun, but it can also be tempting to fall into a number of different mistakes, and we'll show you how to avoid them. In corporate setting especially, holiday office parties are a big deal. They aren't usually mandatory, but they are a part of the culture, and they can affect how you are perceived by your coworkers and bosses. It's very important to understand that these social functions can affect your career more than maybe they should, and that's why you should avoid the following blunders and not take a gamble at your office Christmas party. Sometimes the alcohol gets to flowing at these events in a major way, and you don't want to be the person the whole office is talking about when you return to work. Even if you're typically a heavy drinker, take it easy at work-related functions because you don't want to make a mistake or be labeled because you took a gamble on your career over what you were drinking at one party. Even though an office party might not be during normal office hours, you should still be mindful of what you wear and how you present yourself. These things can affect how you are perceived by your coworkers and supervisors, and the last thing you want is to make a bad impression. You don't necessarily have to wear the same thing you would wear at work but keep it classy to avoid any embarrassment. One of the easiest ways to avoid a big gamble at an office party is to simply be mindful of what's going on with the people around you. If some people are having a problem with each other, be careful not to get in the middle of it. If you see some others having a good time, that might be where you want to hang out instead. You can't control how other people act, but you can control where you are standing and who you are interacting with, and that will help you to stay on the right side of any drama that might happen at the party.